The Visa Application Centres for FRANCE in RUSSIA collect, on behalf of the French Authorities, visa applications which will be examined by the Consulate General of France in MOSCOW. Every information you need is now available on the new France-Visas website. After filling the visa application form, you will be redirected to the on-line appointment and tracking systems of VFS Global. The form has a reference made of 17 characters starting with “FRA”. The “registration receipt”, which also has the reference mentioned above. Visa application will not be received without those 2 France-Visas documents. If you have not printed your electronic form, you may use the internet kiosk service provided in our Visa Application Centre. The guidance sheet is available at the kiosk. Please approach our staff should you require any assistance. Launch of French Government “France-Visas” website. Visit this website for comprehensive information on visas and on how to apply: STEP 1: check using Visa Assistant whether you need a visa and prepare your application; STEP 2: check who can examine your application; STEP 3: fill your visa application form and, if required: STEP 4: book an appointment to submit your application in VFS GLOBAL visa application centre. Get your photograph clicked as per the diplomatic mission requirement at the Visa Application Centre. Photocopying facilities are available at the Visa Application Centre. Personalised end-to-end processing of your visa application at a dedicated counter. 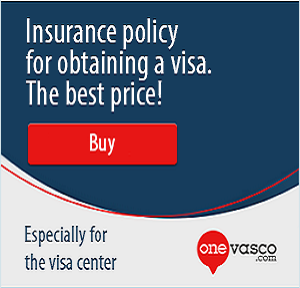 You can buy a travel insurance policies from leading insurance companies from the Visa Application Centre. Don’t have time to visit the Visa Application Centre? Use our Mobile Biometric Service to submit your application at time and place convenient to you. If you want your passport (and, if applicable, any other document that is returned to you by the Consular Authority) to be delivered by courier, you can request for this service when submitting your visa application at the counter. Other Cities: DHL Express and Fox Express. Please contact us for the fee information. After your application has been submitted at the Visa Application Center, you may still opt for the courier service to get your passport delivered to your desired address. Applicants have the option to pay by cash or online. For online payment, please follow the instructions as mentioned on this link: click here. When an Applicant opted for this service, the passport can be handed over to the Applicant in person or an authorised representative. The courier company would need to check the authorisation letter signed by the Applicant, proof of submission (Receipt of Submission and Contract), and the internal passport of the person who would receive the passport. The courier company would collect the authorisation letter and the Receipt of Submission as proof of hand over. If the passport recipient could not provide the authorisation letter and proof of submission during the delivery, then the passport would be returned back to the Visa Application Centre and the Applicant would need to come to Visa Application Centre to collect it in person. To request for this service, you may fill in the online courier service request form. After the online courier service request form has been submitted, you will be contacted by our specialist within one working day to confirm the order. Using this service does not mean your visa application will be processed more quickly or that you will be issued a visa. Your visa application will be processed in the normal way by the Consulate General of France and your visa application needs to meet the requirements of the Immigration Rules. The service listed above is purely optional. All service charges are inclusive of 20 % VAT. Please read the service agreement at the Visa Application Centre before opting for any services. Due to the stringent requirements around the Photo required for your application, we recommend you utilize the photo services available inside the Visa Application Center. This will provide you assurance that your application is submitted with the photograph that meets the specifications and will be acceptable to the Embassy. You will have ready photographs in 45 seconds. This service can be booked at the visa application centre upon your arrival. 200 Rubles for 6 photographs. A photocopying machine is at your disposal to complete your visa application. This service is applicable for all the locations. The Premium Lounge service is available at the France Visa Application center in for those customers who would like to experience a dedicated service. option to pay fee by credit card. An applicant could avail of the Premium lounge service being already at the Visa application center without having scheduled an appointment, if there are free slots. 70 Euro per application, in Saint-Petersburg – 50 Euro per application. You may also opt for our Prime Time Service (16:30 – 20:00 hrs.) in our Premium Lounge with an additional of 50 Euro per application. Submission between 16:30- 20:00 (Monday to Friday, except holidays). Submission between 16:30- 20:00 (Monday, Wednesday and Thursday, except holidays). Submission between 16:00- 18:00 (Monday to Friday, except holidays). To opt for this service, kindly book an appointment at least one day prior to the desired date, before 17:00 hrs. Moscow local time. This charge is over and above the visa fee, service fee or any other additional service charges that are available in the visa center. You may also opt for a Prime Time Service in our Premium Lounge in Moscow and Yekaterinburg with an additional of 70 Euro per application. An insurance desk is available within the Visa Application Centre where you can select an insurance in compliance with the requirements of the French consular Authorities to submit a visa application. Approach the insurance desk at the Visa Application Centre for the rates. For your comfort, we are pleased to offer you our new “Mobile Biometric Service” to submit your visa application and enroll biometric data at office without leaving your city*. Schedule an appointment and we will collect your visa application form, documents and biometric data at your city. When scheduling an appointment, you can also opt for a courier pass-back service where your passport can be returned to you via courier to your desired address. This service is applicable for all locations. click here to fill the request form online. Our Mobile Biometric team will contact you once we receive your request. Please note that this service can be ordered only through our website or calling the telephone number listed above. The Visa Application Centre is not responsible for services ordered on third-party resources. Be cautioned that such services may be of poor quality, and you could become a victim of fraud. VF Services LLC (hereinafter referred to as “VFS Global”) is a service provided for the Consulate of France in Moscow (“The Embassy”). VFS Global is an outsourced partner of the Embassy. It must be noted that the grant or refusal of the France visa is at the sole discretion of the Embassy and VFS Global is neither involved in the process nor is liable or responsible in any manner whatsoever for any delay in processing or grant or rejection of the visa application of any applicant by the Embassy, which reserves the right to ask for further documentation and to refuse the visa application. These terms and conditions shall be governed and construed in accordance with the laws of Russian Federation. Any claims or disputes arising in relation to the services provided by VFS Global to the applicant shall be subject to the exclusive jurisdiction of the courts in Russian Federation. Personal data: Such as, name, national identity number, nationality, gender, details of your travel document (e.g. passport or ID), email address, telephone number and postal address, place and date of birth. Sensitive Personal data: Religion, marital status, health related information, Biometric data, such as Fingerprints, Photographs and DNA swabs. Electronic media data: CCTV images, video and audio recordings, website cookies (see below). If you would like to know more about our data transfer practices, please contact our Data Protection Officer . When you give us personal information, we take steps to ensure that it’s treated securely. Any sensitive information (such as credit or debit card details) is encrypted and protected. On our websites when you are on a secure page, a lock icon will appear on the in the address bar of most web browsers. This means the transfer of information from your browser to our webservers is encrypted to keep it safe. Automated personal data processing — Personal data processing by means of computer hardware and software. Personal data blocking — Temporary termination of personal data processing (unless processing is necessary to clarify personal data). Personal Information System — The totality of personal data contained in databases, and ensuring their processing with the use of information technologies and technical means. Personal data identification — Actions whereby it is impossible to determine personal data attribution to a specific personal data subject without the use of additional information. Personal data processing — Any action (operation) or set of actions (operations) performed using automation tools or without using such means with personal data including collection, recording, systematization, accumulation, storage, updating (updating, modification), extraction, use, transfer (distribution, provision, access), depersonalization, blocking, deletion, and destruction of personal data. Operator — A public authority, a municipal body, a legal entity or an individual, independently or jointly with other persons organizing and/or carrying out personal data processing, as well as defining the purposes of processing personal data, composition of personal data subject to processing, and actions (operations) performed with personal data. Personal Information — Any information relating to a directly or indirectly defined or determined individual (personal data subject). Provision of personal data — Actions aimed at disclosing personal data to a specific person or a certain circle of persons. Cross-border transfer of personal data — Transfer of personal data to the territory of a foreign state to the authority of a foreign state, to a foreign physical or foreign legal entity. Personal data dissemination — Actions aimed at the disclosure of personal data to an indeterminate circle of persons (transfer of personal data) or for acquaintance with personal data of an unlimited number of persons including the disclosure of personal data in the mass media, placement in information and telecommunications networks or provision of access to personal data, or otherwise. Personal data destruction — Actions whereby it is impossible to restore the contents of personal data in the information system of personal data and/or whereby material data carriers of personal data are destroyed. The Personal Data Processing Policy in OOO VF Services (hereinafter referred to as the “Policy”) has been developed in compliance with the Federal Law “On Personal Data” No. 152-FZ dated July 27, 2006 (hereinafter — FZ 152). This Policy determines the procedure for processing personal data and controls to ensure the security of personal data in OOO VF Services (hereinafter referred to as the “Company”) in order to protect the rights of subjects when processing their personal data. Destruction or depersonalization of personal data upon the achievement of the objectives of their processing, in the event of a loss of the need to achieve these goals or if the Company cannot eliminate the violations committed while processing personal data, unless otherwise provided by federal law. Processing personal data subject to publication or mandatory disclosure in compliance with federal law. Personal data processing is necessary to establish or implement the rights of the personal data subject or third parties, as well as in connection with the implementation of justice. Personal data processing shall is performed in compliance with the applicable laws on compulsory types of insurance, with applicable insurance laws. Protection of life, health, other vital interests of the personal data subject or other persons when it is impossible to obtain consent in writing to the personal data subject. Other rights and obligations of the Company as an operator of personal data shall be determined by the applicable laws of the Russian Federation in the field of personal data. La protection des données de VF Services a été développée en application de la loi fédérale sur les données personnelles No. 152-FZ du 27 juillet 2006. Les dispositions prises par VF Services sont exposées et décrites dans la version en langue russe du site.